Description of picture frame: A classy open grain curved profile frame for both artwork and photographs. Maximum size of picture frame : This bespoke picture frame moulding can be made to your exact size requirements, up to a maximum combined frame size of 187cm (or 74"). This combined frame size is the width and height of the picture frame added together. Picture Frame Glazing: Natural Glass. If required, a safety acrylic (styrene) glazing can be used instead of glass (for a small additional fee). Picture Frame Accessories (included): The picture frame includes a removable backing board (fibreboard), appropriate fixings on the back of the frame, quality wall fixings and removable frame corner protectors. Picture Mounts (optional extra): We produce made-to-measure single or double bevel cut mounts to fit within your picture frame. Picture mounts enhance the visual appearance of your framed picture, by providing a border (or window) around your print/picture. Picture mounts also add an extra layer of protection to your picture/print, by preventing it from touching the frame glazing. Our precision cut picture mounts are available in a wide variety of colours and styles. Click here for full details. Backing Boards (optional extra): We produce made-to-measure white backing boards, sometimes called white barrier boards. The backing boards are placed behind your picture / print to help protect the artwork and resist the effects of ageing. The backing boards also help to position your print/picture and attach the picture mount. Our boards are acid free and meet the Fine Art Trade Guild conservation level standard. Click here for full details. HOW TO ORDER BESPOKE PICTURE FRAMES? Please contact us with your framing needs, including the required numbers and sizes of pictures you need framing. We will then provide you with our free no-obligation framing quote. 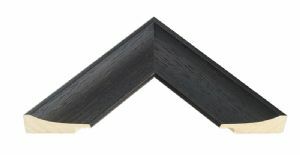 -Volume discounts are available for larger framing jobs. -Hand collection and delivery service for picture frames is available in London (price varies by postcode). -Lead time: Typically about 2 weeks. You can either call us, or visit our showroom in East London to see the full range of picture frame mouldings on display. Our staff can also measure up your pictures and help choose a suitable picture frame / picture mount. Please click here for full details about how our picture framing service works.